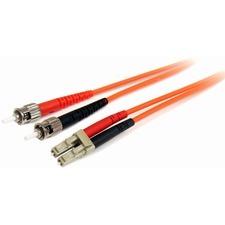 Tripp Lites P574-001 DVI Splitter Cable allows you to connect two VGA enabled monitors to a video graphic card with a single LFH59 / LFH60 ( DMS59 or DMS60) DVI connector. DMS-59 supports a higher density of video displays, in a similar amount of connector space to a standard DVI connector. DMS-59 supports two DVI Dual Link digital channels or two VGA analog channels from a single connector. 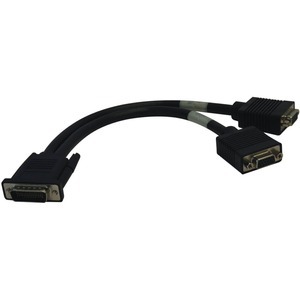 For DMS59 to 2 x DVI, see Tripp Lite P576-001.